Lisson Gallery is delighted to announce its representation of the painter Stanley Whitney and his debut solo show at its Milan gallery from 2 October – 13 November. This American abstractionist has been exploring the formal possibilities of colour within ever-shifting grids of multi-hued blocks and all-over fields of gestural marks and passages, since the mid-1970s. His current motif, honed over many years, is the stacked composition of numerous saturated colour fields, delineated by between three to five horizontal bands running the length of a square-formatted canvas. The cumulative effect of Whitney’s multicoloured palette is not only one of masterly pictorial balance and a sense of continuum with other works in this ongoing series, but also that of fizzing, formal sensations caused by internal conflicts and resolutions within each painting. Taking his cues from early Minimalism, Color Field painters jazz music and his favourite historical artists – Titian, Velázquez and Cézanne among them – Whitney is as much an exponent of the process-based, spatially-gridded square in art as Josef Albers, Sol LeWitt, Agnes Martin and Carl Andre. 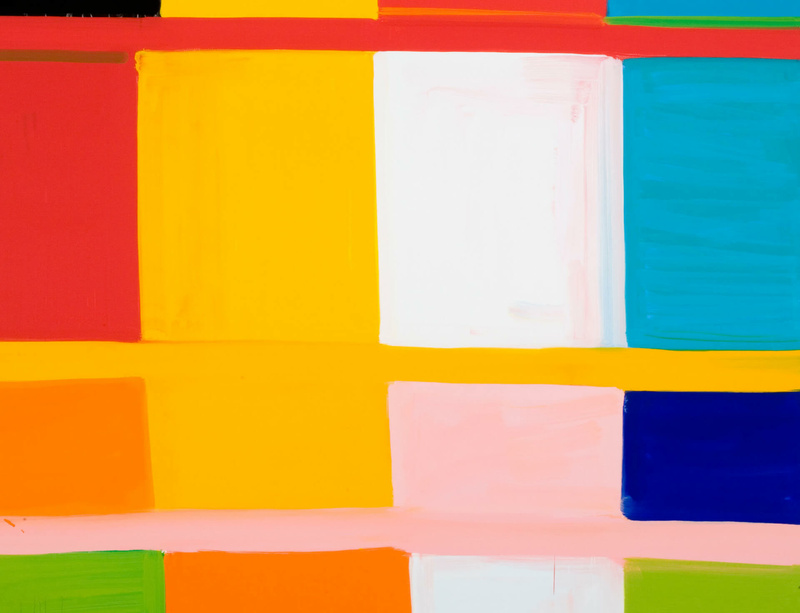 Stanley Whitney was born in Philadelphia in 1946 and lives and works in New York City and Parma, Italy.